Please identify the area in which you live, using the map at left and legend at right, to provide your area number in the sign-up form for our email newsletter. This is very important to allow us to communicate with you by email for matters only of concern to your area, such as a lost pet or local construction project. If you do not live in any of these areas, please put 0 (zero) in the area field. Thank you! Area 9 is bordered by Providence Road and Queens Road, southeast of Myers Park Methodist and Presbyterian churches, including upper Hampton, Portland, upper Beverly and lower Sherwood. Area 8 which is east of Area 9 includes most of Beverley, Malvern, lower Hampton, Hanson, and Myers Park Drive. Area 3 runs from Queens Road West to the creek, including Maryland, Sterling, Jameston and cross-streets Wellsley, Princeton and Westfield. Area 4 is the inner core around Queens College, including Radcliffe, western Bucknell, most of Wellsley, Stanford, Hastings, and upper Princeton. Area 7 is bounded by Sharon Road, Selwyn and Myers Park Country Club golf course, including Roswell, Queens Road East, Chilton, Briarcliff, Westminster, eastern Bucknell and Wellsley. 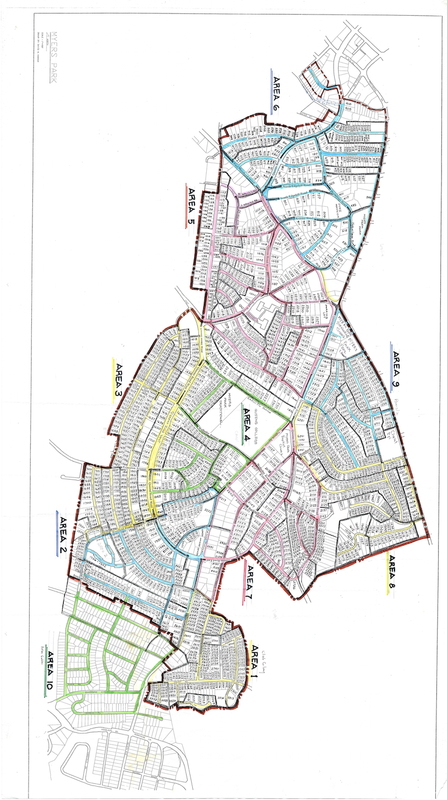 Area 2 is bounded by Selwyn and Westfield and includes southern portions of Queens Road West, Maryland, Sterling, Jameston, Lynnwood and Ridgewood. Area 1 originally known as Club Colony is bounded Myers Park Country Club and the creek, and includes southern Roswell, Normandy, Picardy and Colony. Area 10 partially known as Myers Park Manor includes Hillside, Tranquil, Plantation, Wales, Hillsdale, Chelsea, Brandywine, Dellwood, Hassell, lower Westfield, Rocklin, Fiedlbrook, Manor, Woodlawn-Runnymede, lower Selwyn.